My name is Randy Boehm and it is my honor to serve as the current Chairman of the Special Olympics Missouri Board of Directors. Our Board is made up of individuals from all over the state with many different backgrounds. The one thing we all have in common is our passion for SOMO and our desire to help our athletes. I have served on many boards over the years but none as engaged and involved as our SOMO Board. 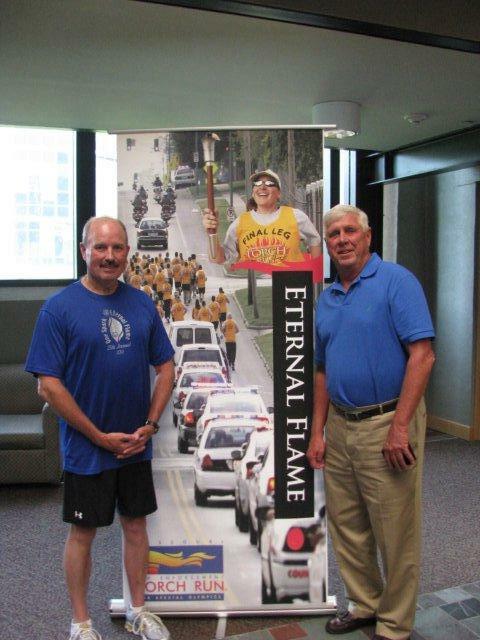 My relationship with SOMO started in 1987 through the Law Enforcement Torch Run®. I am the retired Chief of the Columbia Police Department having served for 32 years on that department, my last eight years as the Chief. 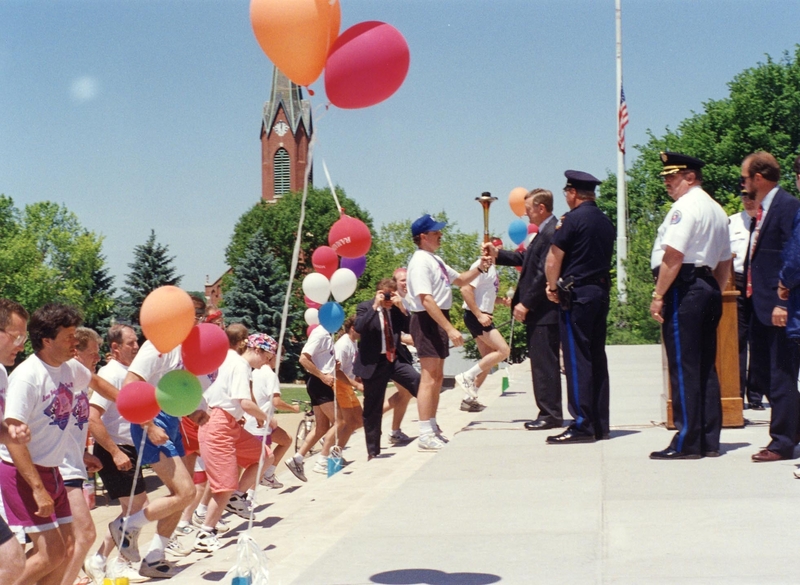 In 1987, Major Carl Antimi put out a memo about a Torch Run for Special Olympics. To be honest, I wasn’t sure what it was but I liked to run and even then I knew that being involved in our community was a good thing. This was long before the term Community Policing was heard. I raised a few dollars for SOMO and participated in the Torch Run. I really enjoyed meeting and running with officers from around the state and so the tradition began. To this day I participate annually in a portion of the Torch Run. Of course, now it is just part of the celebration for the work that is done annually by law enforcement to raise funds and awareness for Special Olympics. In 1987, the Torch Run was a simple run from Columbia to Jefferson City. It ended at the Capitol steps. Each agency was responsible for a mile of the run and then we all ran the last portion to the Capitol together. Now of course, we have legs of the Torch Run all over the state who all come together to run the Final Leg at the Opening Ceremony at the Summer Games. It was and is a lot of fun. At this point I still didn’t fully understand what Special Olympics was all about. I just knew it felt like the right thing to be doing. 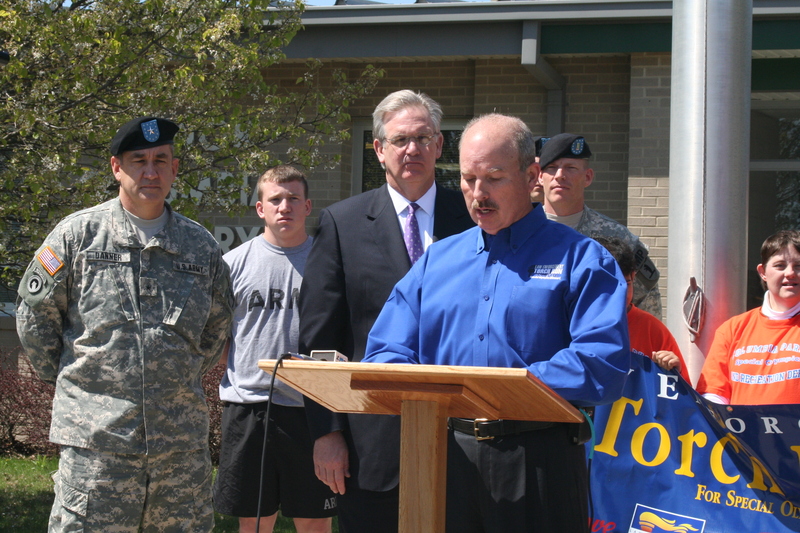 In 1994, the Missouri Police Chief’s Association, the founder of the LETR in Missouri, made a decision to expand their involvement in the LETR. They formed an LETR committee and selected Regional Coordinators to help organize LETR events in the state. I was asked by my Chief to serve as the Region Coordinator for the central area and gladly accepted. This allowed me to serve on the LETR committee and to learn more about the LETR and SOMO. By this time I was attending some Special Olympics events and meeting athletes. That’s when I really started to understand how important this all was. I recognized how much the athletes appreciate what we did for them. I also recognized that it made me feel good to be around them. In 1999, I had the opportunity to represent Missouri on the LETR Final Leg team at the Special Olympics World Summer Games in North Carolina. I had teammates from all over the world and we ran the torch all over North Carolina. I consider it one of the highlights of my career. I have friends from that team that I still have contact with to this day. I continued to serve as a Regional Coordinator through 2002. 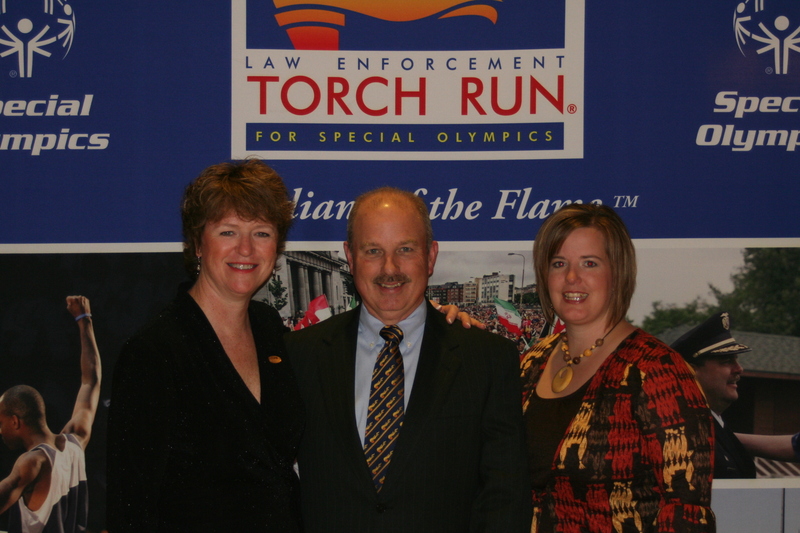 Then in 2003 I was asked to serve as the Chair of the LETR for Missouri. I served in that capacity for the next 10 years, stepping down at the end of 2011. I still serve on the committee today. As the Chair of the LETR, I got the opportunity to work with some of the best, most caring law enforcement officers in the state. We are proud of our accomplishments and I am proud to call my fellow committee members friends. Chief Chris Pigg agreed to take over as the Chair of the LETR and he is doing an outstanding job in his first year as Chair. One of those friends is Susan Stegeman. Susan is the Chief Development Officer for SOMO and has been the Liaison to the LETR committee since its founding. She is the “glue” that holds all of this together and has learned to deal with being in a room full of cops at our LETR meetings. Not always an easy task. We can be rather vocal at times. I have had the opportunity to be around many LETR programs around the country. Missouri has one of the best and a huge part of that is Susan. 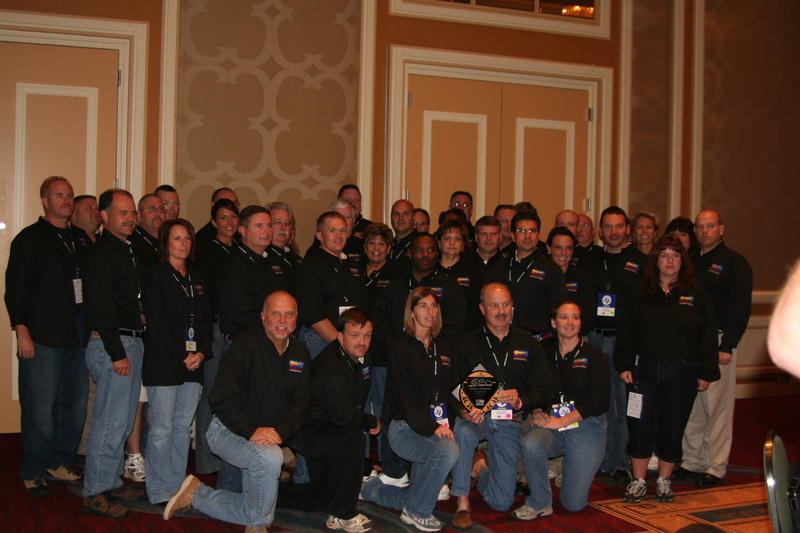 In 2009, I had the opportunity to be elected as a Regional Coordinator for the International Law Enforcement Torch Run Executive Committee. Our Region is Region 6 and covers Missouri, Kansas, Oklahoma, Texas, Arkansas, and Louisiana. Again, a great opportunity to meet and work with great law enforcement officers from around the country. Also, a great opportunity to meet law enforcement officers from around the world that share our same passion for Special Olympics. 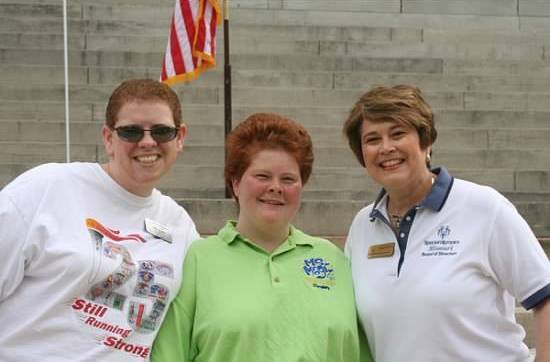 In 2007, I was honored to be asked to serve on the Special Olympics Missouri Board of Directors. I thought I knew a lot about SOMO, but I have learned so much more by serving on the Board. This has given me an opportunity to take off my law enforcement “hat” and really look at the big picture of SOMO. Let me tell you that it is an impressive organization. We have a tremendous staff that work every day to make sure that every dollar raised is used to help our athletes. I was elected as the Chair of the SOMO Board for 2012 and 2013. It is a privilege to represent SOMO throughout the state. People recognize what a credible, worthwhile organization this is. I truly believe that is why we are able to continue to set records for money raised in these difficult economic times. People still ask me why I am so involved in Special Olympics and the Law Enforcement Torch Run. I don’t have a specific moment or event I can point to. I don’t have a loved one who is an athlete. Although I certainly now have many friends who are athletes! All I can say is that it felt like the right thing to do when I ran in my first Torch Run in 1987, and it still feels like the right thing to do today. I can tell you this: I have gotten more from Special Olympics than I have given. It helps me keep perspective. The athletes remind me daily that my small problems are just that, small. If they can meet their daily challenges with a smile, how can I not? I’m a better person because of the LETR and SOMO. My SOMO story begins in 1997 in Atchison, Kansas. I was an uninspired fifth year senior with an extra semester still to go. In search of a way to finish my college career sometime before I hit my thirties, I began to hit the trail in search of some type of internship. Now, if there is one sport that I love, it is the game of baseball. I could sit and talk for hours about baseball stats, players, managers, strategies and so on. I had basically spent the entire year trying to get hired for an internship with a minor league baseball team. Unfortunately, due to finals week, I was unable to attend the large job fair minor league teams use to hire most of their interns. Then one day I got a call from my mother, and she had been doing some looking on her own, presumably since she was tired of paying for all these years at a private college. Gary Brimer (SOMO’s Chief Sports Officer) had an opening in Jefferson City at the headquarters office. The pay wasn’t much but it would count for credit, I could live at home and we could carpool together since Gary & I lived in the same town. I had known Gary pretty much my whole life, and since the baseball thing didn’t appear to be panning out, I decided to take him up on his offer. My experience with Special Olympics was next to nothing. I had helped Gary out at a local basketball tournament a couple of times in Boonville (my hometown), but nothing more than that. I had the typical “too cool for school” attitude initially, and took more than my fair share of ribbing from my roommates about spending my summer working with a bunch “special” people. That’s about the attitude I took with me to begin. The summer continued pretty much uneventful just doing the basic intern stuff like filing and what not. Then one day Gary proposed to me that Missouri was going to put on an athlete camp as a pre-cursor to a Special Olympics World Games the following year. Missouri had never put on a camp, but other states were trying it and he wanted to see how it went with athletes spending a week away participating in various different sports. I would be the director. Well, all I can say is, what an experience it was. We trained in different sports such as basketball, aquatics, and tennis. We had nightly activities. It was really a good insight once again that these athletes are just like you and I. I can’t tell you how much fun I had with them. From playing sports with them, showing of my limited dance skills at the dance, and even doing a camp activity known as hiney writing (basically writing your name with your posterior) it truly was one of the best weeks I have ever had. On the last day of camp, we said our goodbyes and as we were leaving I was presented with an official camp shirt with the autographs of about a hundred of my new friends. To this day, that shirt is framed and hanging up in my house for all to see. Sadly, the internship came to an end after camp and it was back to school, but I always took with me all of the life lessons the athletes had taught me through their actions. Life went on, and eventually I did get that baseball job. I spent ten years traveling the southeast working in baseball. But I never forgot about Special Olympics, it might have been volunteering at the softball tourney in Tennessee, or helping coordinate the Jello Jump at my stadium in Virginia. Special Olympics was no longer something I joked about or avoided it was something I sought out and wanted to be a part of. 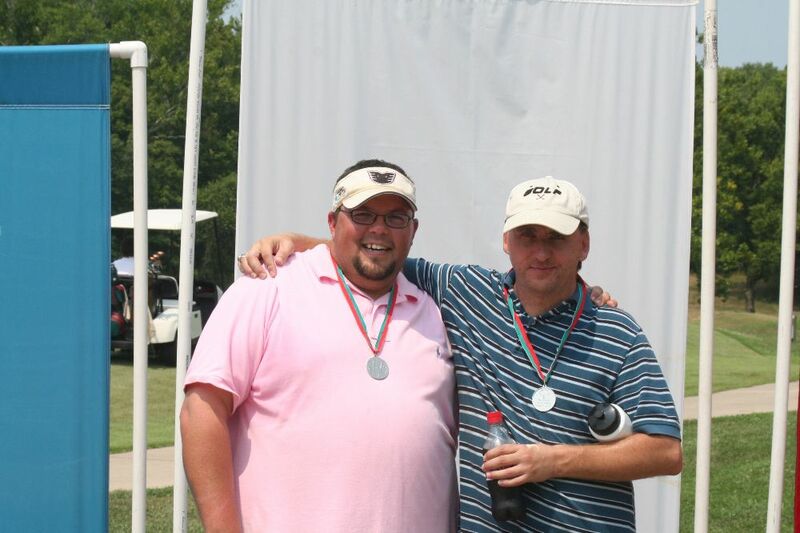 Tim Schuster, left, is the Northeast Area Director for SOMO. You can reach him at schuster@somo.org. I grew up with a few cousins in the program. At the time, I thought Special Olympics was just an activity for them, the same way other cousins played in little league or attended summer camp. I wasn’t uncomfortable around my cousins or people with disabilities because I grew up around them, even though we didn’t see each other often. I never really gave much thought to how Special Olympics impacted the lives of the athletes, much less the lives of the coaches, volunteers and staff. Then I started working for Special Olympics Missouri 10 years ago and had the chance to see firsthand the impact the program has on the lives of everyone involved. I thought to myself, “How much difference can sports really make in someone’s life?” As it turns out, sports and the teamwork and interaction that are involved can make a HUGE difference. 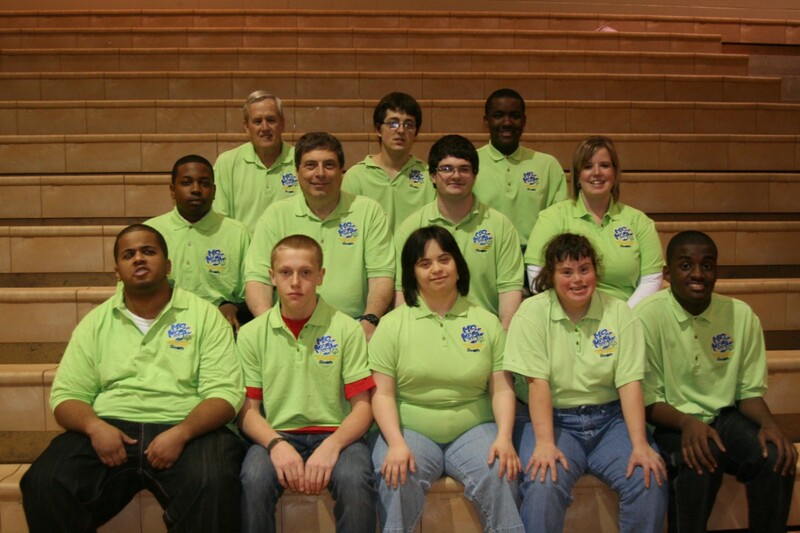 Special Olympics has taught our athletes acceptance, pride, courage, and social skills. My cousins have blossomed, thanks to the boost in confidence and new skills they have learned. Our athletes have become celebrities to me. I am always excited to see them, say hello, and meet new athletes every chance I get. Unlike so many famous people these days, our athletes are heroes you can believe in. They model strength, determination, perseverance and honesty. They don’t care if you are having a bad hair day or have a huge pimple on your chin; they are instant friends who accept you for who you are, regardless of appearance or ability. Our athletes are always ready with a high five and hugs and are full of excitement to tell you all about what’s going on in their lives. They face challenges and struggles daily, and yet I never hear them complain about it. They have taught me to be grateful for the blessings I’ve been given and love myself for who I am. One of my favorite Irish proverbs is, “Dance as if no one were watching. Sing as if no one were listening. Live every day as if it were your last.” Our athletes live this! Spend five minutes at a Special Olympics dance and you will learn about letting go of your silly reservations, as well as probably pick up a few new dance moves! Watch an athlete cross the finish line after a tough race and see the joy of accomplishment light up their face. Feel the glow of pride as they walk away from the awards stands with their medals clinking together. If you want to learn how to enjoy life to the fullest, our athletes are wonderful teachers. Athlete Derek Sandbothe once said to me, “Special Olympics has taught me that I can do anything that ORDINARY people can do.” It struck me that he described non-disabled people as “ordinary,” and then I realized that our athletes are extraordinary, and that he had come to realize that he is valued and special. THAT’S the difference that sports and Special Olympics can make in someone’s life. Megan Neighbors is SOMO’s Data Analyst. You can reach her at neighbors@somo.org. I stood in the gym and watched as the athletes brought in their luggage and said goodbye to their parents/guardians. Some had great big smiles on their faces while others had a look of apprehension – for this would be the first time that they had spent a week away from home. This sounds like a typical beginning to any summer camp, but this was not just ANY summer camp – this was the Special Olympics Team MO National Games selection camp. This was my first time to go to athlete camp as well, and I was so excited to see what was in store. I was paired up with a basketball team from St. Louis – 10 athletes and two coaches that I had never met before. I was thrilled to have the chance to get to know these athletes, but I had no idea what a life changing experience I was about to encounter. As the week began, I watched these athletes train – running drills and scrimmaging for 3-4 hours a morning, and then doing cross training for 3-4 hours each afternoon. I was amazed at how they soaked everything in, and never once complained about being tired or asking to sit out. I watched how some struggled with some of the new drills that they were asked to do, and just as they were about to get frustrated, a fellow athlete would come over and take the time to help them out. As the week went on, I watched these same athletes do these drills over and over and by the end of the week, I had a complete different set of athletes standing before me. Sure it was the same group, but they had grown so much! They not only changed out on the basketball court, but they changed with the way they interacted with the other teams, they changed with their independence, they changed their attitudes and their confidence grew, but most of all – they changed me. I will forever cherish the week that I spent with this team, whether it was talking, laughing, running, dancing, or shooting hoops with them, the memories that I have will forever hold a special place in my heart. Their outlook on life and their cheerful spirits are something that I will strive to imitate each and every day. Thank you for making this week possible for so many athletes, and I encourage you to come and spend a few hours with these amazing athletes at camp next summer. Crystal Chalk is the Central Area Associate Director. She has worked for SOMO for seven years. You can reach her at chalk@somo.org.